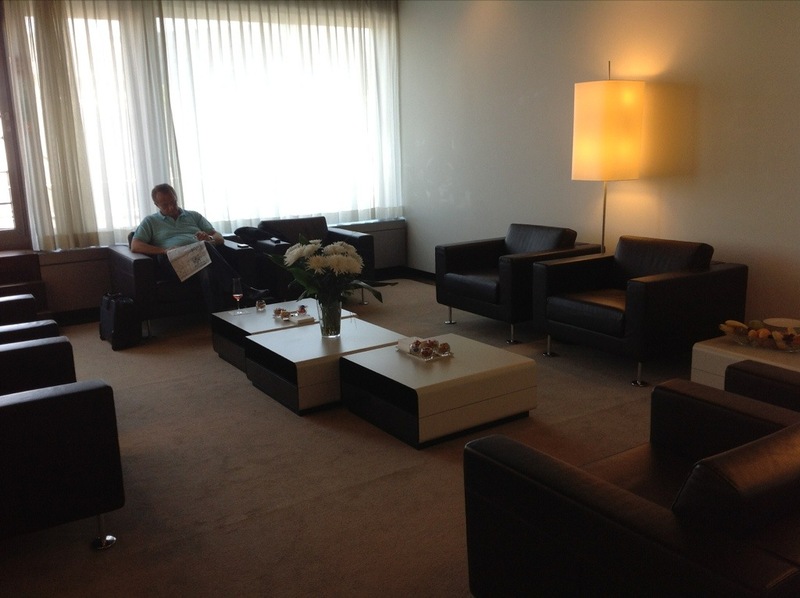 This is my review of the Swiss First Class lounge at Zurich Airport. Back to the continuing story of my current US trip! 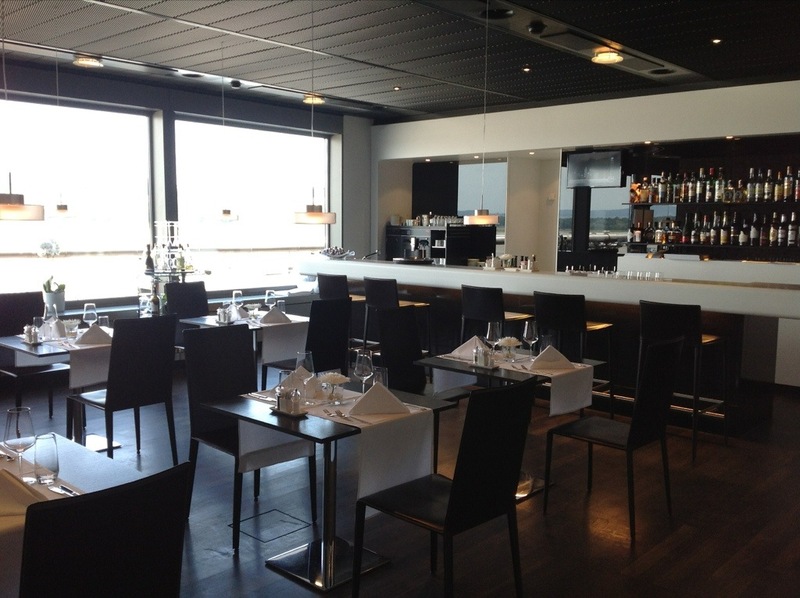 I have already covered the Sheraton Frankfurt Airport hotel and the Lufthansa First Class Terminal. 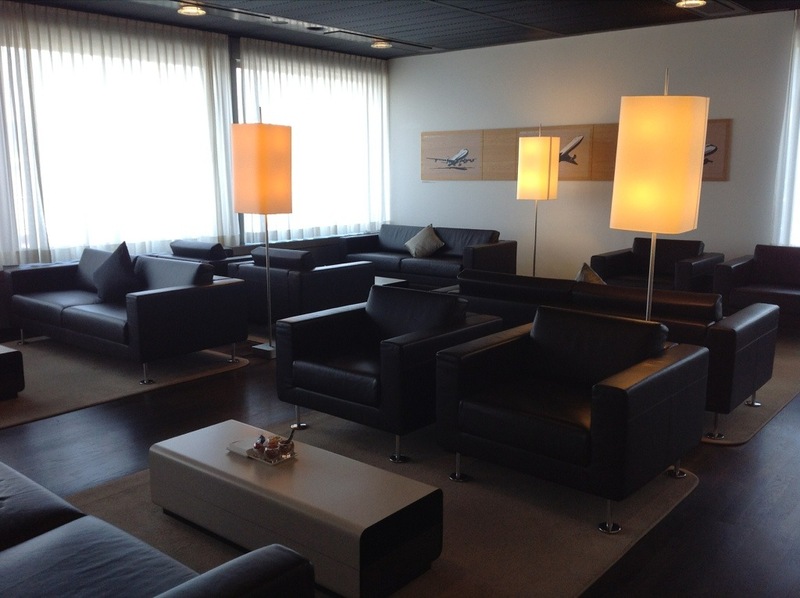 Now it is time to review the Swiss First Class lounge at Zurich airport. 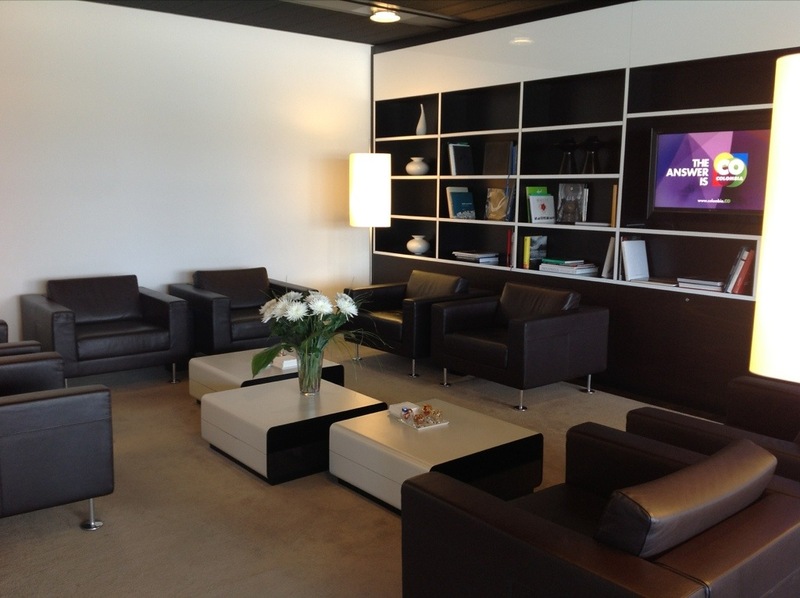 After the 35-minute flight from Frankfurt to Zurich, I made my way over to the lounge. I was not met from the Lufthansa flight and had to make my own way over to the lounge pavilion, which admittedly was not too far. 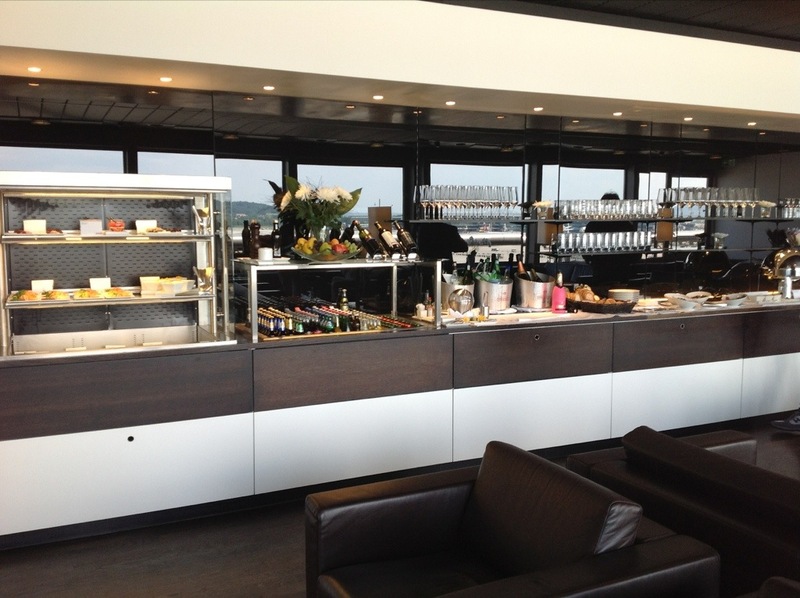 The lounge is split into a number of small sitting areas, plus a combined bar / restaurant, a TV area and an open bar / buffet / large seating area. This is the bar and restaurant area. There were no menus available unless I sat down and got someone to bring me one, so I never got to see what was on offer. I frankly had no interest in any more food at this point after breakfast and lunch in Frankfurt plus another lunch on the Lufthansa flight to Zurich! This is the open bar area. Veuve Clicquot Rose was my tipple of choice. What did annoy me was the state of IT facilities. There were 4 tiny offices available, each with a Mac. However, all 4 had broken keyboards – there was at least one and often two broken ‘lugs’ on the keyboards so they would not stand up. Swiss also felt that providing pens and paper was beyond them. The choice of reading material was also pretty weak. The only UK newspaper they had rustled up was the Daily Mail! What I DID do was take a quick shower – there are separate male and female shower cubicles in the toilet areas. The main reason I did this is that Swiss give you a pack of Bulgari toiletries to take in with you, which will come in handy back home! Finally it was time to board my Boston flight. As it was departing from an E gate, the four of us in the lounge heading for the flight were driven across. A lift took us down to tarmac level and we all hopped into a people carrier. After a drive across the airport, we hopped out and were taken up in a lift to the E concourse, where we were left to make our own way over to the boarding gate. I remember using the Zurich 1st lounge once…there was an awfully long wait for the lift, and when it finally arrived some of the chaps rushed forward only to find the cleaner with her bin occupying the whole space (it was a *big* bin on wheels). Didn’t feel all that first class after then. I didn’t think to start in FRA like you though…shame.